A decade or so ago, had you wanted to learn how to make bread or understand the art of preserving, you’d have found a cookbook, followed the instructions and generally hoped for the best. No longer. Cooking courses are now two-a-penny as the likes of Hugh Fearnley Whittingstall and Richard Bertinet teach us how to perfect our pastry and butcher a pig. Cooking has become a lifestyle choice, an aspirational escape from everyday life. It’s taken a while for gardening to catch up but there are now a few individuals selling the horticultural lifestyle dream. Sarah Raven is chief amongst them, with her numerous books, bountiful Sussex garden…and courses about veg and flowers. 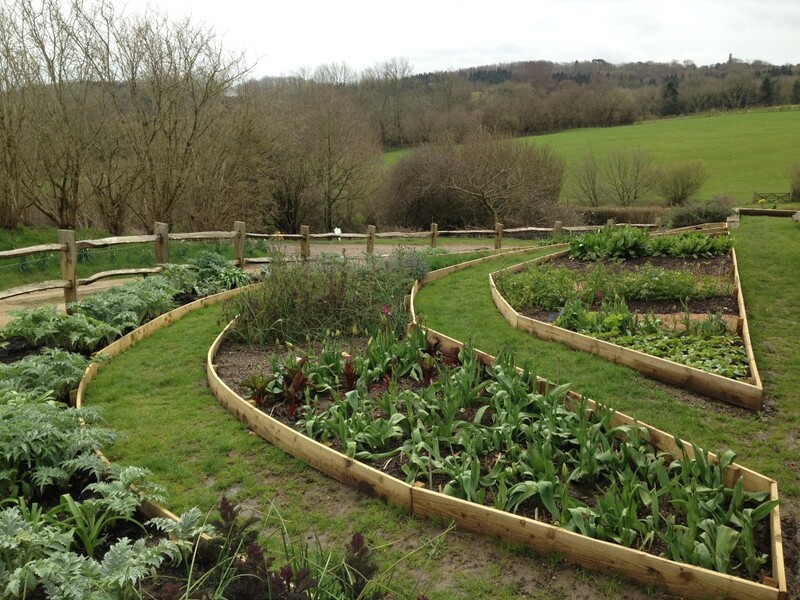 And so last weekend we headed south to Perch Hill, Sarah Raven HQ, for a day learning about The New Organic Garden. 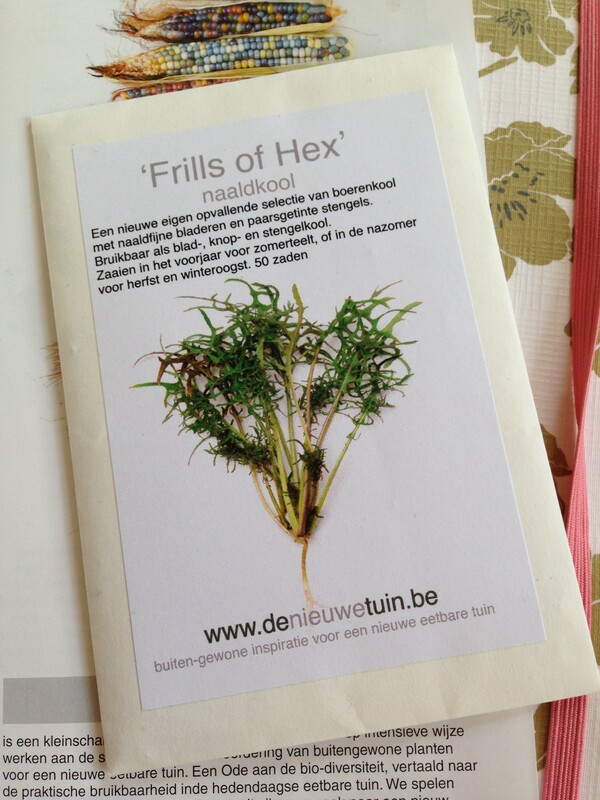 The course was devised and delivered by the Belgian plantsman Peter Bauwens, who is justly famous in his home country but isn’t known over here – he is unable to get an English language book deal, probably because he hasn’t been on telly. This is a nonsense because Peter knows all there is to know about the growing of veg, particularly veg that is vegan (more on that later), unusual, nutritious and a little bit fun. 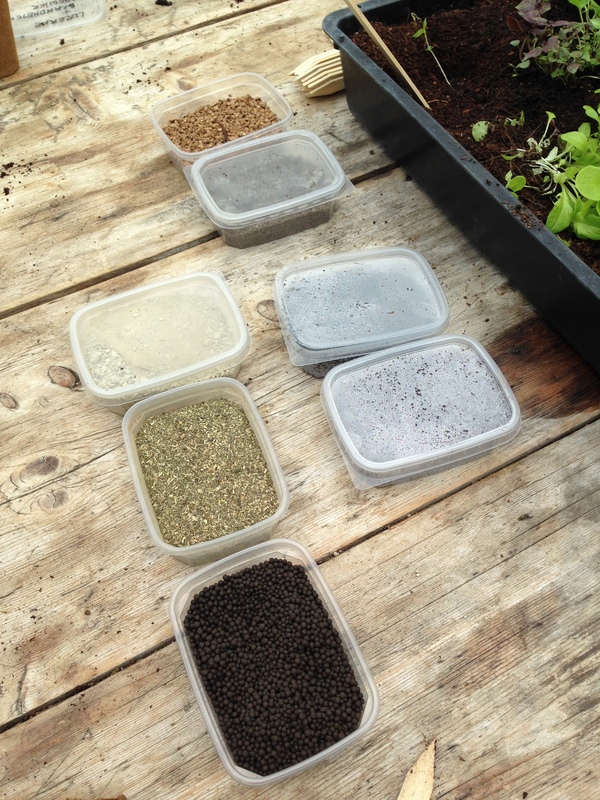 This course is well-timed because my recent veg-sowing session ended up looking like this…I need help. 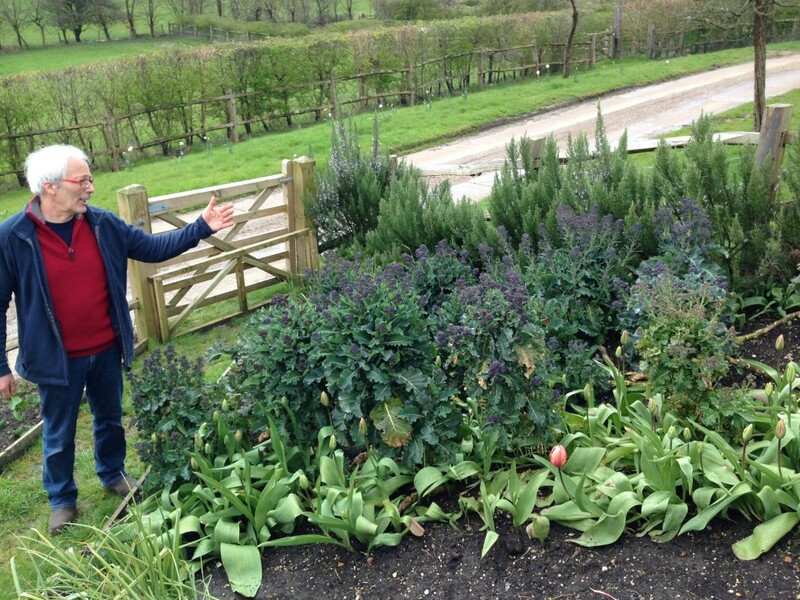 This was my second trip to Perch Hill and actually I was pleased to see that their beds, currently filled with tulips and over-wintered brassicas, looked quite achievable at home. They have planted bulbs everywhere, including with long-lasting vegetables such as asparagus, for year-round interest. In a week or so this garden will be vibrant with colour. Let’s look at these in turn. I was really hoping this year for some early brassicas to get us through spring – cavolo nero, maybe a few leaves of kale, nothing special. In fairness to me I did try, but the pigeons and slugs had other ideas, so all we ended up with was a few sprigs of purple sprouting. Peter encouraged us to persevere. The trick is to think of these plants as biennials, starting them now (March or April), sowing direct to the garden because they don’t like their roots being disturbed, protecting them well, and with any luck there will be a harvest the following spring. This outstanding crop of PSB has made me want to give the brassicas another go. The other trick is to use the greenhouse. This is so obvious I don’t quite know why I didn’t think of it before…silly me. 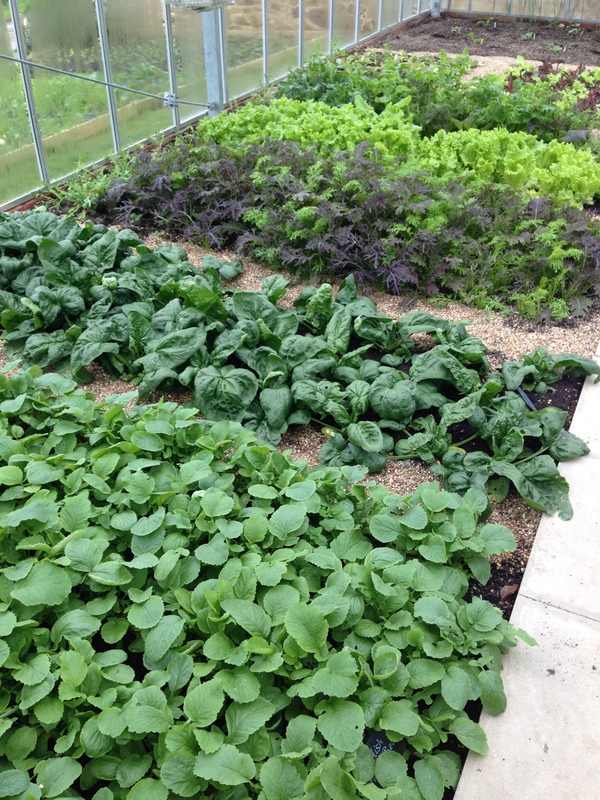 Just look at these amazing salads and spinach, sown in the depths of winter and doing very well under glass in the early months of the year. I had some glorious baby salad leaves in my greenhouse and planted them out a few weeks ago, and now they look MISERABLE. They should have stayed where they were. Well of course vegetables are plants, aren’t they? What Peter means is to stop focusing entirely on the end product. Say you sow a tray of cauliflower. When the tray needs thinning, these tiny seedlings are your first crop. Then they get planted out and the leftover plants are a second crop. As the plants get bigger you can make a stir-fry from the outer leaves. You may then get a full-size cauliflower, so slice off the curds but leave the plant where it is. In a few weeks time, there will be more baby cauliflower stems, for another crop. And on and on. Apparently if you harvest a leek by slicing, leaving the roots in the ground, it will grow a tasty leek-flavoured shoot – a second crop. We all know that broad bean tops are great sautéed with garlic, but if you cut the plant back to the ground and allow it to regrow, you’ll get a crop of new leaves and shoots for another meal. Rocket and radishes that have bolted should be left where they are, for the flowers are edible, as are the seeds. And on it goes. I love this idea and will be slicing some leeks forthwith. This is where the vegan thing comes in. Apparently vegan fertilisers are a big deal on the continent right now and I suppose it make sense – if you are planning to eat your lettuce raw, and you’re a veggie, it’s nice to know that it hasn’t had horse poo or fish blood sprayed on it. Peter brought out a load of interesting vegan fertilisers that he mixes into his compost, from raw cacao to sugar cane and alfalfa hay. He is a sensible man though and grants that it’s hard for everyday gardeners to get hold of this stuff, in which case, stick to the manure. 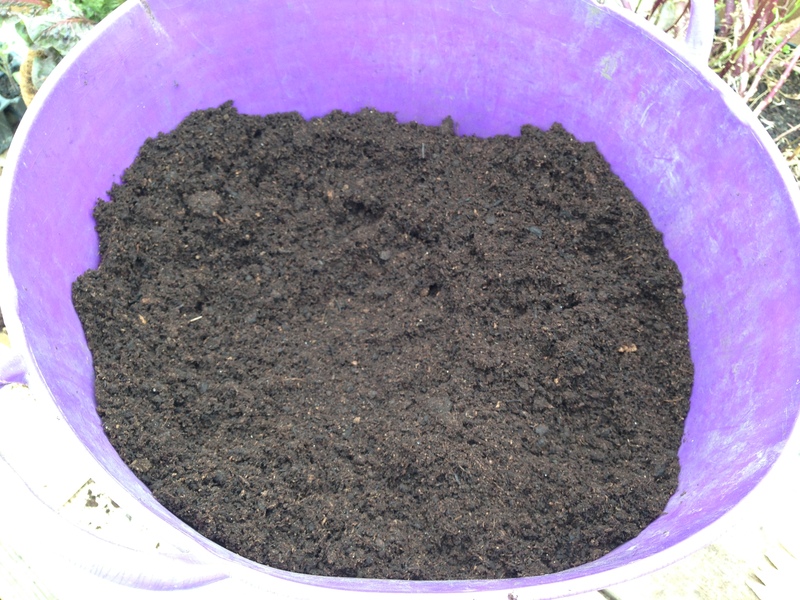 His other tip was to mix your potting compost well – he makes his own compost, lightens it with coconut fibre and sand and aerates it with a sieve. 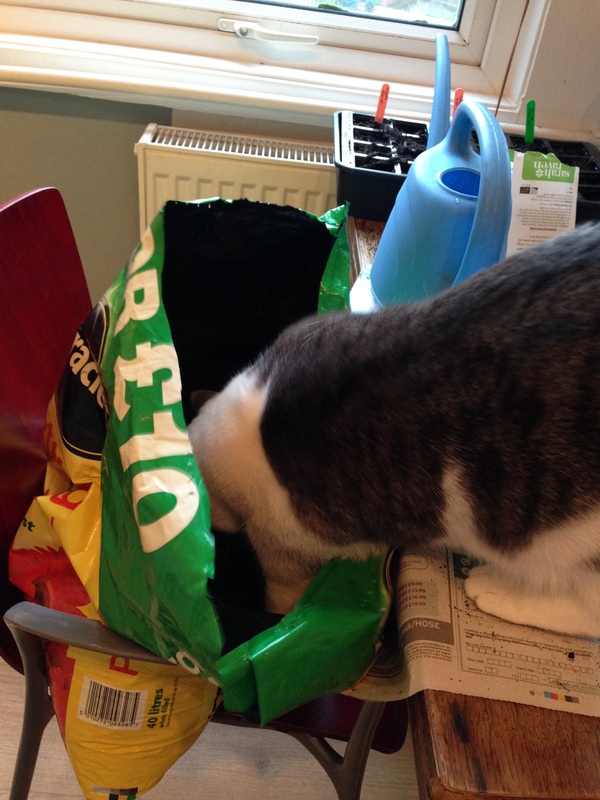 It did feel lovely stuff…but as long as I am doing my gardening on the kitchen table with a nosey cat alongside, this level of attention to detail will have to wait. This is one of those annoying things that you only learn by messing it up a few times. Some plants loathe having their roots disturbed, whilst others couldn’t give a monkeys. Peter advises sowing all brassica-type plants directly (chard, spinach, kale, broccoli) so you don’t have to transplant them. 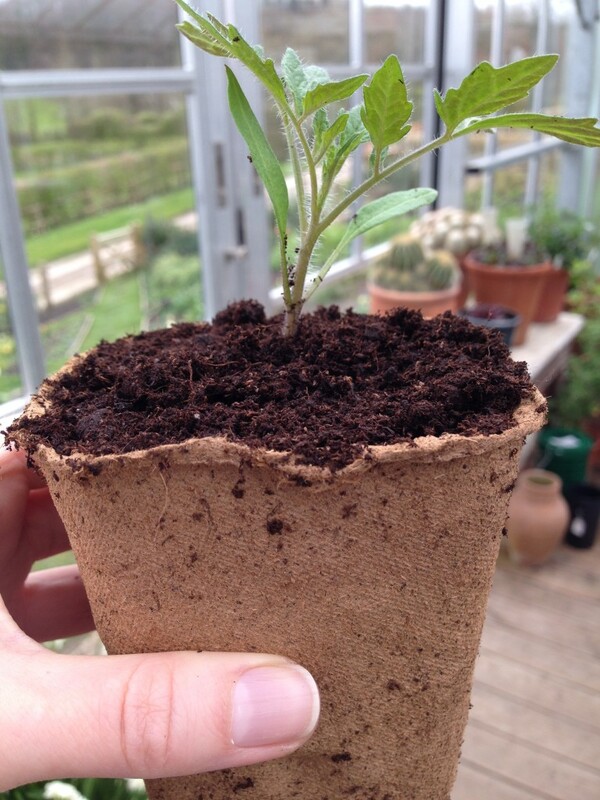 Other plants can go into fibrous pots which allow the roots to grow through them once they are planted out. Incidentally, Peter pots on his seedlings much deeper than I do, up to the first leaves on this tomato. 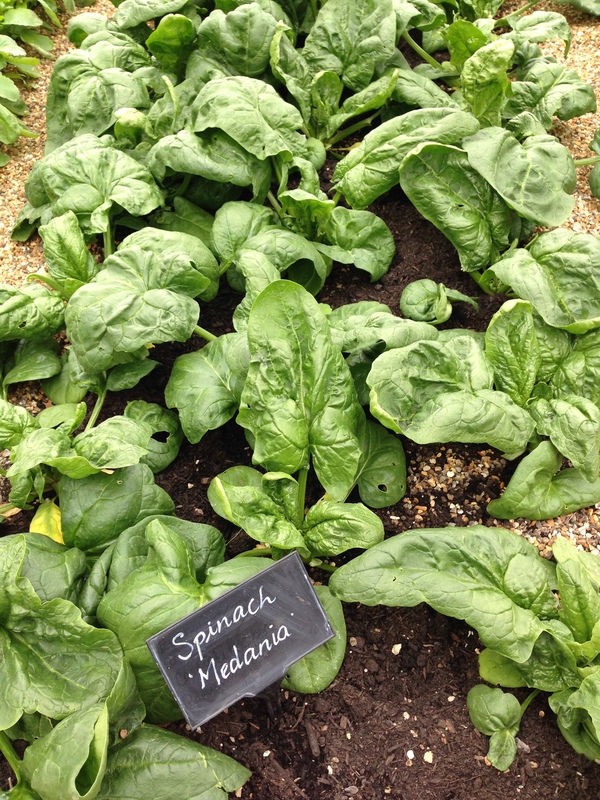 At Sarah Raven they get around the root disturbance issue by sowing salads into gutters in the greenhouse, then sliding the lot into the veg patch when they’re big enough. I’ll definitely be giving this a go. Peter went to art school in his youth and has an appreciation of beauty in plant form. His books and seed packets are photographed so well that I wanted to applaud – British seed companies have a lot to learn on this front. His nursery advocates lots of unusual, nutritious and good-looking vegetables, including quinoa, edamame beans, white strawberries (apparently the birds won’t eat these), pink potatoes and blush-coloured currants. Beetroots with long roots have better flavour than those with round roots, so it’s worth hunting out a few different varieties. 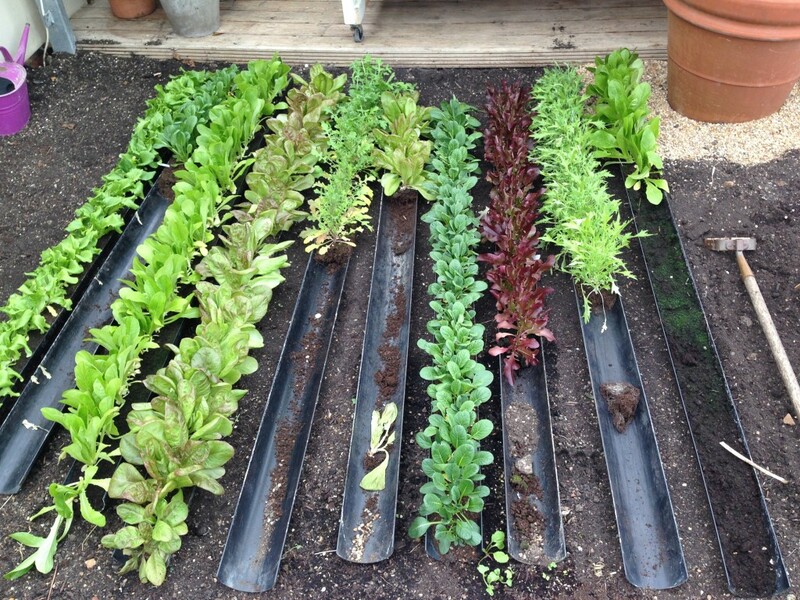 Japanese greens and radish are good winter veg – sow them in autumn. Oh! And you can sow courgettes in July for a second autumn crop, so I might try that out. In the spirit of trying new things, I picked up a packet of ‘Seeds of Hex’, a kale variety where you can eat both the leaves and the flower heads. Other tips I picked up on the day from my fellow students are that beer traps for slug do work, but you have to use very cheap beer (because it’s sugary) and it’s worth adding a pinch of yeast to the booze to get it frothing. Peter finished by telling us that food plants are like a paradise to be shared with others, a suitably poetic end to the day. You can read more about Peter Bauwens in this Telegraph article. Sowed rest of flowers, kale, beans, herbs. 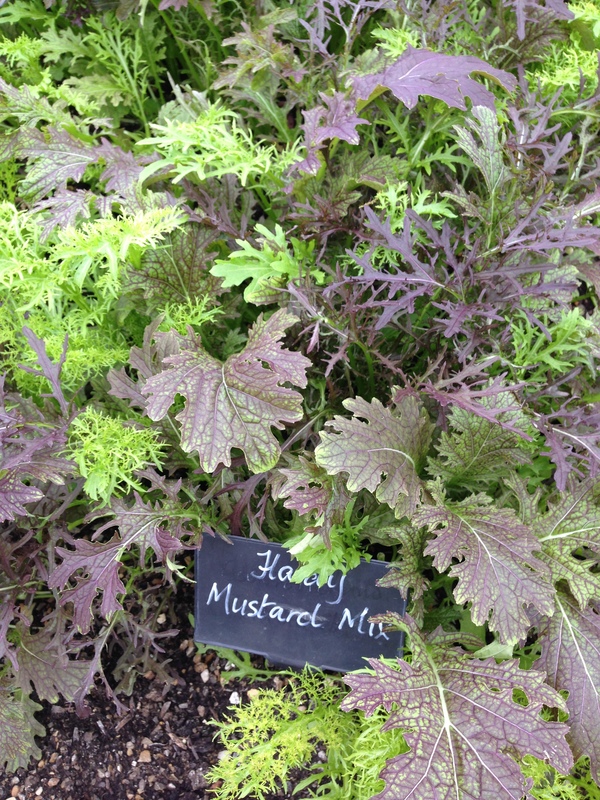 Plan to trial direct sowing of brassica/greens against sowing undercover and transplanting. This entry was posted in Allotment, Spring and tagged New Organic Garden, Peter Bauwens, Sarah Raven. Bookmark the permalink.